350 million tons of materials end up every year in French factories’ garbage. In view of this, 3 young French designers decided to give a new life to these wastes by using them creating a new range of furniture. The concern for environment is the main drive at the origin of their project, Maximum Paris, a design company launched in April 2015. 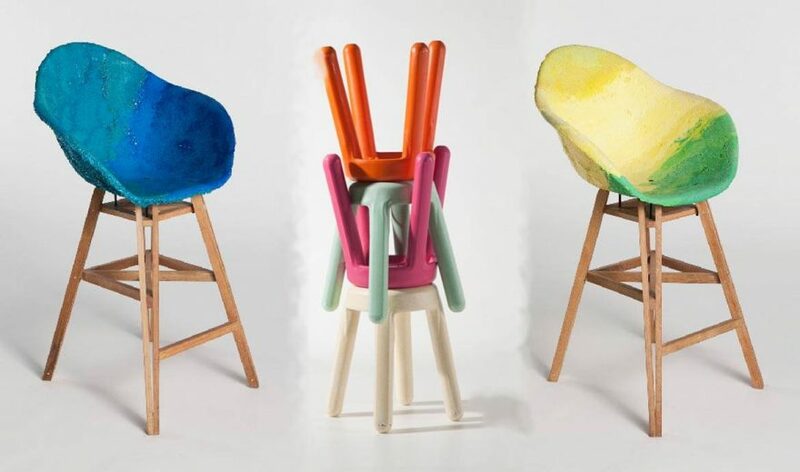 It belongs to the circular economy mode of thinking, as factory waste are reintegrated into the cycle: a table made up from old scaffolds, a chair built using multicolor plastic waste, these are a few of the products you can find in their Ivry sur Seine workshop. Within their workshop, they transform waste into design products in an artisanal mode, every product being manually finished. Starting from already existing material, shapes, colours of the industrial waste to create a new range of «recycled» objects, a perfect example of human ability to innovate in constraint. These young designers use their creativity to give a second life to industrial waste and create eco-friendly furniture while fighting against excessive extraction of raw material. ‽ Search for meaning, values and engagement, clients are increasingly aware and demanding towards brands. In light of that, how do you intend to inject meaning into your products or services to better touch your final consumer?